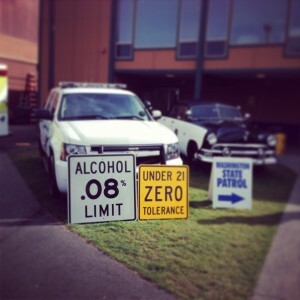 Washington State Patrol and Local King County Police will be out looking for DUI suspects over Memorial Day weekend. I thought this would be an excellent opportunity to break down the five most common reasons Washington DUI cops claim they believe someone has driven under the influence in Washington State. A judge will allow an exotic dancer charged with DUI and resisting arrest to be her on lawyer for a non-jury trial next week. The judge wanted to grant a “stand-by” public defender, however she rejected that idea saying, “Public defenders did not have a client’s best interests at heart” (According to a recent article). Further, she stated that her attempts to hire an attorney failed when she was quoted $2,000. It was reported last week that a Mountlake Terrace, Washington Police commander was fired because he was arrested for a driving under the influence (DUI) by a Washington State Trooper. The police officer was on call than night of the DUI arrest. The report stated that he was with others at a restaurant in Arlington, Washington drinking until about 1:00 am. He then drove to the Tulalip Casino and eventually attempted to drive to his home in Lake Stevens, Washington. On the way to Lake Steven’s a Washington State Trooper noticed the police officers car crossing the center line and his headlights were off. The police officer was stopped by the trooper and agreed to submit to field sobriety tests, although he declined the portable breath test. The police officer was subsequently arrested for a Washington DUI and later blew a breath alcohol concentration (BAC) of .055 and .058. The police officer was charged with DUI and is being prosecuted by Snohomish County Prosecutors. He later entered a not guilty plea at Snohomish County district court according to the Everett Harold.